In 2010, NASCAR introduced a new car for their minor league Nationwide Series and encouraged the manufacturers to use muscle car bodies. And the automakers kind of listened. Ford brought a Mustang and Dodge brought a Challenger. But Chevy and Toyota decided their "muscle cars" were the Impala and the Camry. Thankfully, that will change for 2013. 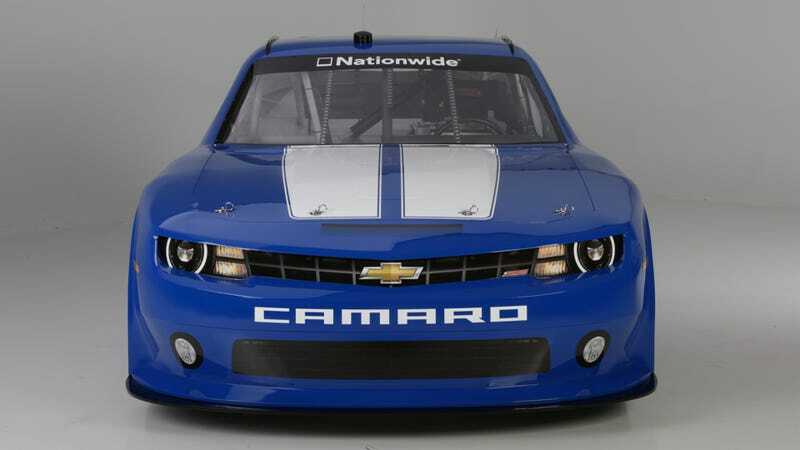 Chevy just showed off the brand new Camaro body they'll be using in Nationwide competition for 2013 this morning. Does it have any relationship to the Camaro you can by for the street? None whatsoever. Does it look more badass than an Impala or a Camry? Damn right it does. This is the first NASCAR racer that's made us drop our jaw in a while.